Thermal Lamination adds a layer of protective coating to a printed surface either in gloss, or matte, or a textured finish. Improving its strength and durability. One of Thermal Laminations added benefits is improving the tactile feel of the of the printed media, giving it an enhanced finish. Deciding to use lamination or UV varnishes in a project is dependent on the needs and the desired outcome of your client. Lamination is often used when longevity is required, such as for Annual reports, Business cards or even Textbooks. UV Varnish can cause a colour shift which decreases quality and for brands with strong CI rules, every slight change to their brands colour is a spoil. UV Varnish cracks when folded while Film Lamination does not crack. Fingerprints show up a lot worse on UV Varnish compared to your Lamination films. Thermal Lamination provides a water resistance element that UV Varnish does not. Film Lamination gives printed media strength and added body. Thermal Lamination is also tear resistant, adding to the quality of any printed material. 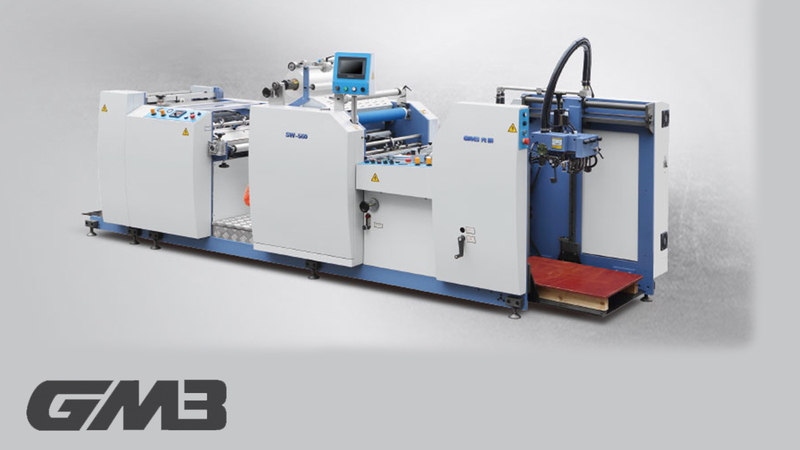 Thermal Lamination has a slightly higher cost than UV Varnish but because lamination increases the longevity of print media it ultimately saves cost in the long run with fewer reprints and faster production. UV Varnish requires venting in the production process, as well as having a more difficult setup and clean up, while film laminating requires none of this. UV Varnish can sometimes have a graininess on the surface causing it to be uneven. Thermal Film Lamination always gives smooth uniform finish unless other added finishes such as Embossing, Textured Sandstone Varnish or Foiling are added. 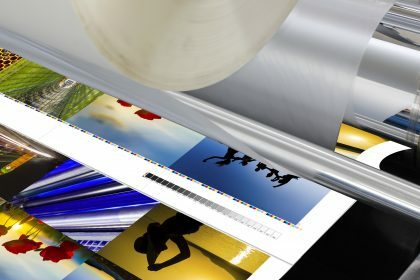 Thermal Film Lamination adds bulk to the piece, allowing the paper stock to be slightly thinner, this can help with the end cost of the project at hand. Thermal Film Lamination can be done in every thickness and have every finish imagined, this driving new opportunity and you can meet your clients’ needs every time. As you can see the benefits of Thermal Laminating far outweighs that of UV Varnishing and would be a smart investment to take your Print house or Finishing house to the next level. 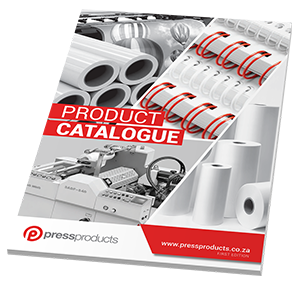 We hold a wealth of knowledge and experience at Press Products, get in contact with one of our impressive consultants and we can help find a print finishing solution for you.